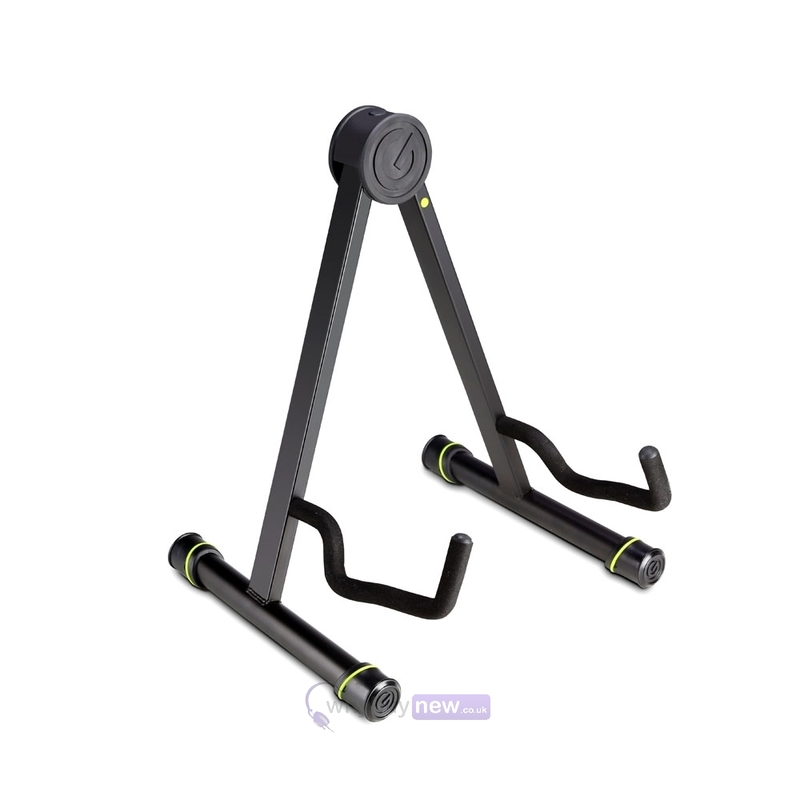 The Gravity Solo-G Acoustic is an A-Frame guitar stand for acoustic and classical guitars. 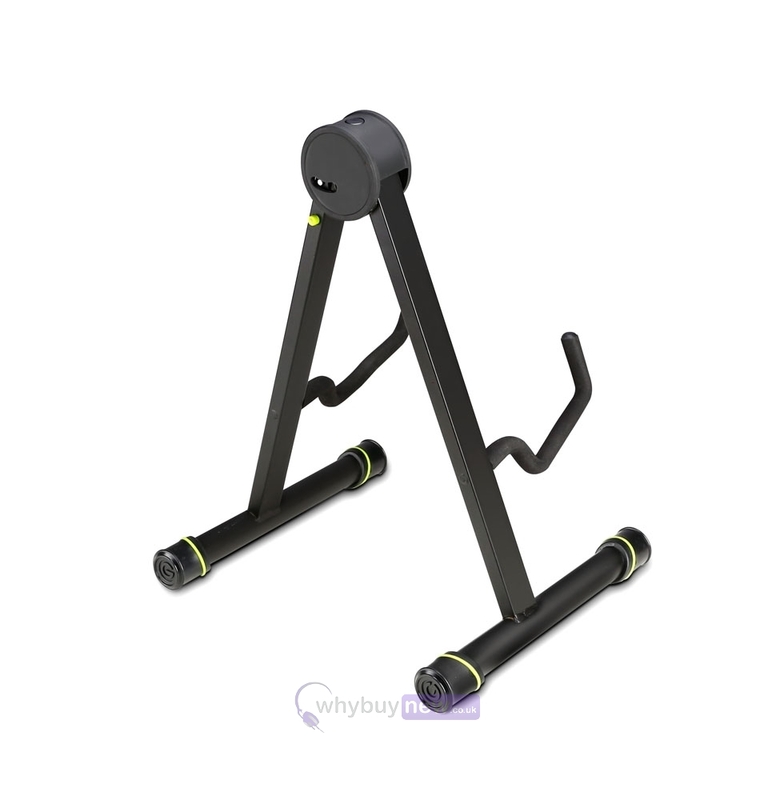 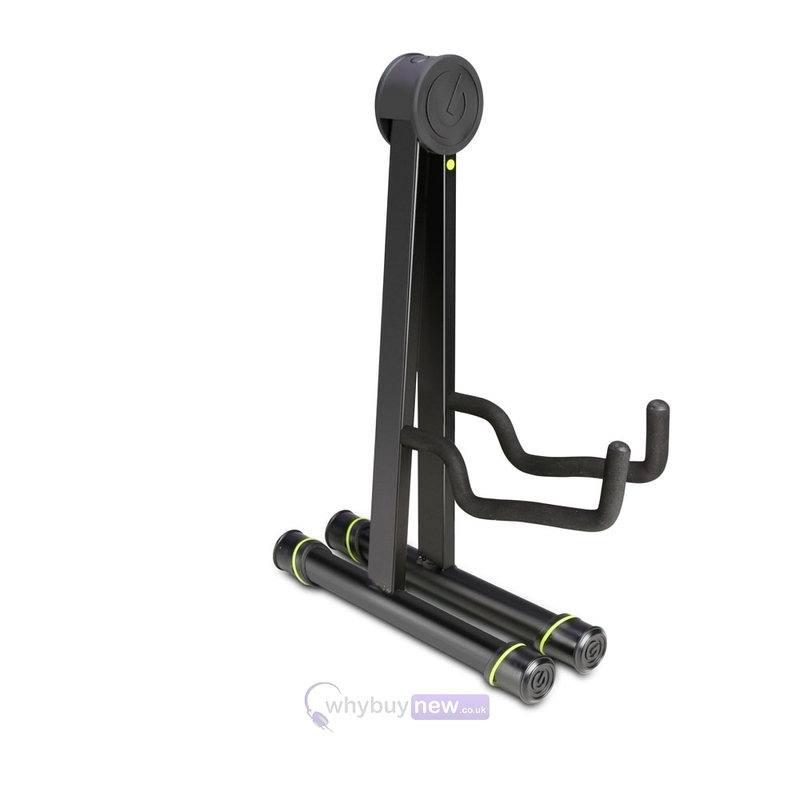 The stand features heavy-duty steel tubing with a black powder coated finish, soft rubber backrest and TPU support arm padding to protect the instrument's finish and non-slip rubber feet. 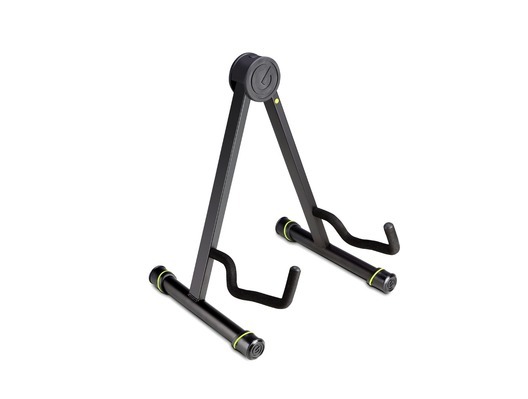 This guitar stand provides two splay angle options and folds up to compact size for easy portability.